Whether you want to build one of our existing Green Homes’ signature floor plans or create an original design from concept to reality, Green Homes offers the expertise to help you realize your vision. The first step in the Design-Build process is a design meeting to determine the budget as well as the home style and floor plan. Once the budget is set, we work with you and an architect to make sure the home options and design features suit your needs and that the design fits your budget. We invest a lot of time upfront asking the right questions and listening to what is important to you. Sometimes we offer suggestions and design ideas to enhance your home's functionality, efficiency and appearance. After the home design (floor plan, style selections) has been finalized, we prepare a total cost estimate for the project. Once the estimate has been approved and financing is secured, we are ready to break ground. Building a new home typically requires construction financing. 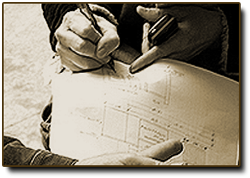 Lenders require the house plans, specifications and total estimated costs to approve your construction loan. If you do not wish to secure your own construction financing, Green Homes will finance the project through one of our preferred lenders and sell the home to you when it is completed. One of the most rewarding aspects of building a custom home is that you have a lot of options. Fortunately, many choices---like floor covering and appliances---do not have to be made right away. Green Homes will provide a selection sheet with an allowance for each item so that building costs remain budget friendly. As an option, we have design consultants available to help you select colors, materials, surfaces and fabrics that make your home uniquely yours. We monitor the construction process closely, and we're always thinking of how the pieces will fit together to build the best home possible. 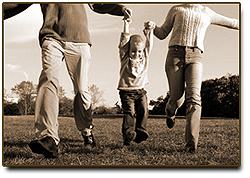 Green Homes builds homes in family-friendly neighborhoods in the Claremore, Owasso, and Tulsa areas. 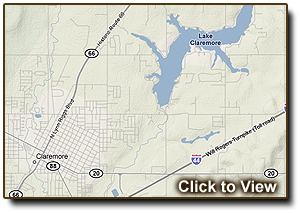 We specialize in fast-growing communities along historic Route 66.